Posted on March 6, 2018 March 7, 2018 by PADI Asia Pacific. Sometimes working together instead of against each other yields huge benefits. A great example of this is Atmosphere Resort and Liquid Dive Dumaguete in the Philippines who are two very similar, but still very different dive resorts working constructively together. Atmosphere, winner of the “Luxury Resort Award” in 2017, is a PADI 5 Star IDC Resort with numerous, similar accomplishments. Liquid Dive Dumaguete, also a PADI 5 Star IDC Resort, focuses on a different clientele and during the last couple of years have managed to build a big name within the dive industry. What these two business have done is combine forces when it comes to their PADI Instructor Development Courses by creating ‘Instructor Development Philippines’ (IDP). Together they currently have 4 PADI Course Directors on staff as well as multiple PADI Master Instructors working in both resorts making sure that each and every one of their students gets the attention they need and require. PADI Regional Manager Conny Jeppson contacted Gabrielle Holder (Owner/Course Director at Atmosphere Resort) and Tim Latimer (Owner/Course Director at Liquid Dive Dumaguete) to ask them a few question about how and why they decided to join forces. Why did you make the decision to work together when conducting IDC programs? GH/TL: We felt that there was a hole in the IDC market in the Philippines and we believed that by working together we could have a bigger impact by bringing in the expertise and knowledge from our different backgrounds. This combined with our separate marketing efforts and students being taught in the different dive centres also increases the combined reach. Your program includes a unique ‘Learn to Teach’ element. Can you tell us a bit about that? GH/TL: Our candidates have the opportunity to teach in two separate dive resorts which focus on separate markets and clientele. Candidates often do not know where they are heading after becoming an instructor. We wanted to offer two different venues through which they could conduct their first courses. This teaches them how to apply varying teaching styles to suit the student, and candidates work closely with our instructor teams to gain experience and teach a variety of PADI courses. What else is unique about the program you offer? GH/TL: We have four Course Directors in house at all times, with two being the owners of the resorts and Instructor Development Philippines. This means at any time we have the staff to give candidates individual attention whenever necessary. All candidates are signed up for IDC Online Study and they have individual tablets fully loaded with PADI materials during their IDC, ensuring they are well aware of how to function as a PADI Instructor in today’s digitalized world. We are also keen advocates of the environment, operating Project AWARE monthly clean-ups (Dive Against Debris) and a general environmental thinking throughout both resorts. Do you have any memorable moments from the program thus far? GH/TL: Every IDC is unique in its own way, but the main highlights are seeing candidates succeed in the future. We stay in touch with our candidate and we have seen them find their dream jobs and open their own dive centres, which is just fantastic. How has coming together to run a joint IDC benefited your dive shop? 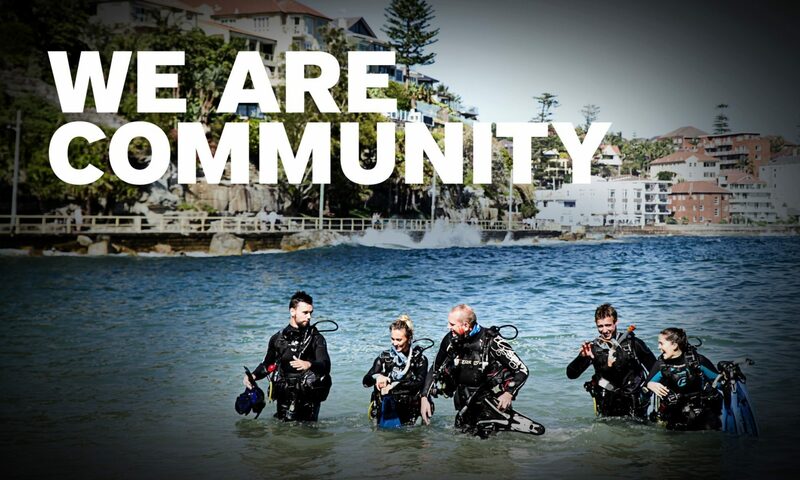 GH/TL: Working together has lead to benefits for both dive shops by growing our IDC reputation, including our ‘learn to teach programme’, as well as the reputation and brand awareness of both dive centres in general within the area. GH/TL: A venue purely for DM to IDC training to make us the ultimate experience in professional training; not just in the Philippines but also globally. What advice do you have for any dive shop owner thinking about joining together for an IDC program? GH/TL: It is very simple really. You need to offer something unique and find someone you are willing to work together with who has the same goals as you. Thank you to both Tim and Gabrielle for taking the time to answer these questions and I hope that you, the reader, have some good ideas of how you and your neighbouring dive centers can start a similar cooperation be it in IDC’s, Freediving, TecRec or even normal courses working with different referral systems.